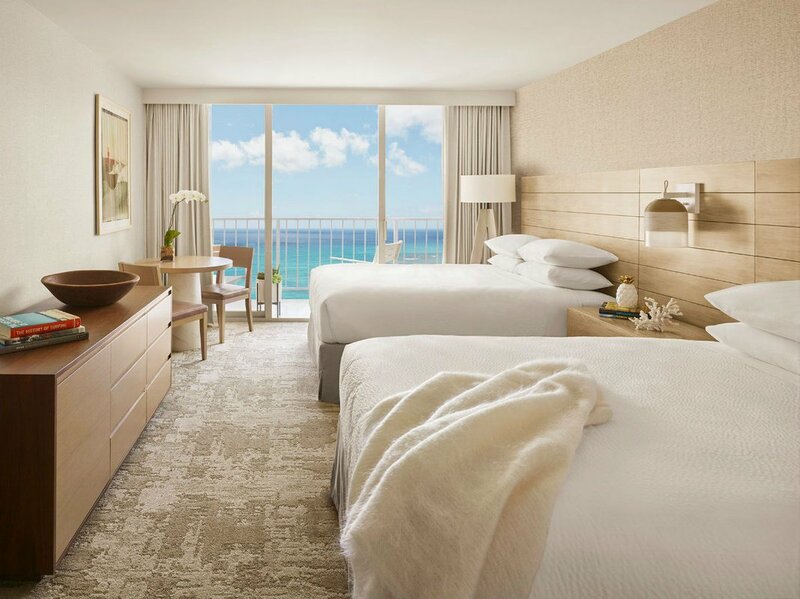 Vacation is getting serious at Alohilani Resort Waikiki Beach, a big, sophisticated beachfront hotel on Hawaii's most famous stretch of sand. 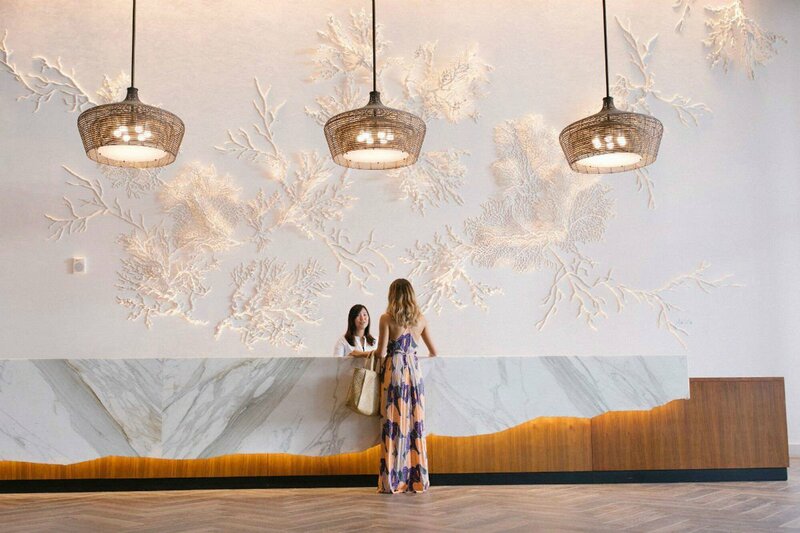 Sleek David Rockwell design, dining orchestrated by Iron Chef Masaharu Morimoto, a prime Waikiki Beach location, and a whopping 839 rooms equals a hotel that makes quite a splash. This is not a thatched-roof bungalow housing laid-back surfers. Send this link to your boss: This should be where next year's company off-site happens (hint, hint). Just look at the a group check-in lounge, various meeting rooms, pool deck, and triple ballroom. A three-story Oceanarium gives guests a look under the sea while they sip cocktails and stay dry in the lobby. Vibe: They call it Aloha Chic — a more buttoned-up version of beachy — an urban sensibility with a little sand between its toes. Standout Detail: Has to to be the 280,000-gallon saltwater fish tank Oceanarium that is home to spectacular coral reef and over a thousand indigenous marine life species. This Place Is Perfect For: Families who don't want to compromise on style, big groups looking to upgrade their off-sites, and brides who want to make their destination wedding practically painless. Rooms: There are 839 rooms done up in sleek, bright, light woods with organic edging, natural materials, lots of light, Malie Organics toiletries, and either two queens or one king-size bed. Six one-bedroom suites have dining nooks, wet bars, and unobstructed views of Diamond Head. 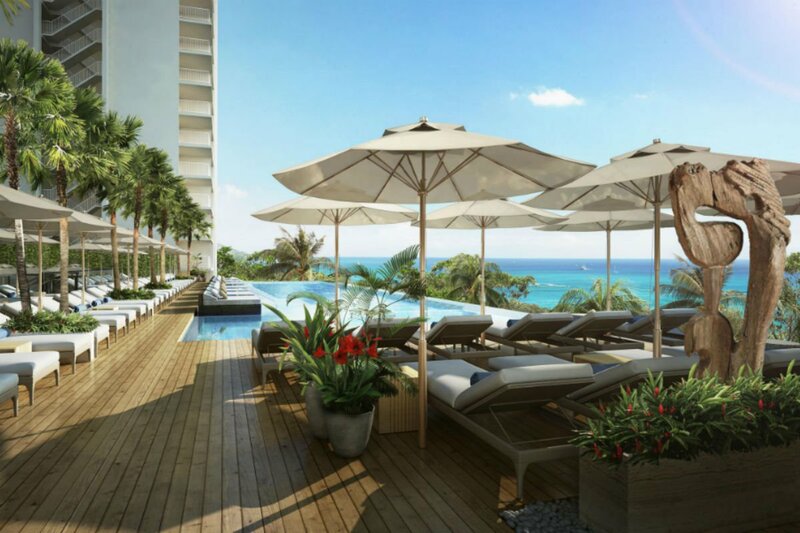 On Site: Most notable is the 5th-floor pool deck overlooking the ocean with a saltwater infinity pool, bar, tiered day beds, sofas, and driftwood sculptures. 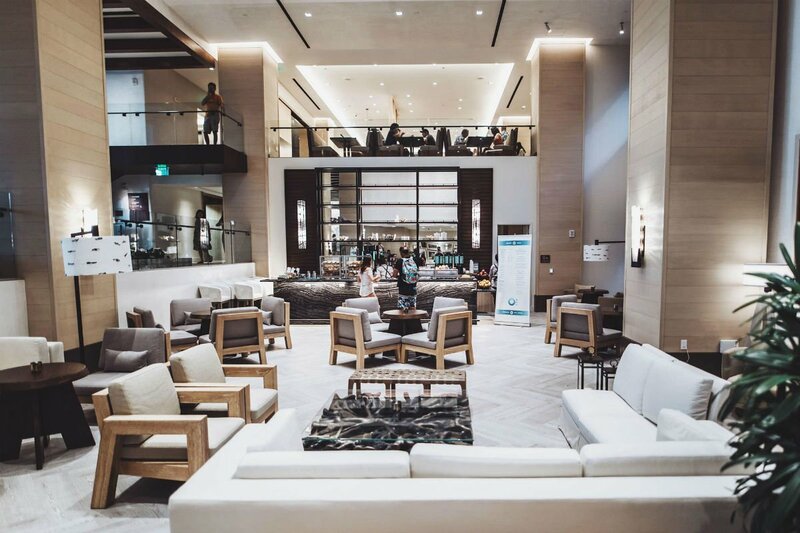 There's also a kid's club and separate kiddie pool, a fitness center overlooking the Oceanarium, retail shops, a spa, a business center, and a 20,000-square-feet of event space. 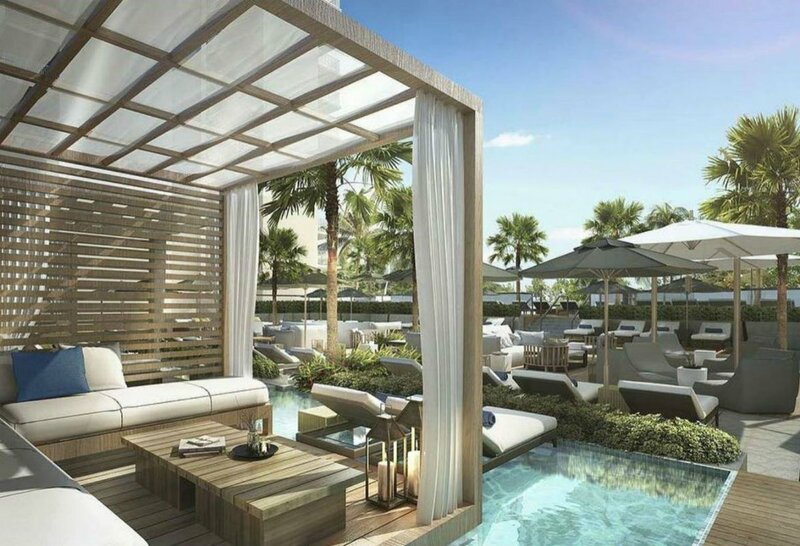 In a tucked-away area, five private cabanas (rentable in advance) overlook a reflecting pool. Food + Drink: Lychee, the breakfast buffet, emphasizes locally grown produce. Swell, the pool bar, runs day and night. In the lobby is that enormous fish tank. Another draw is Morimoto Asia, a fancy outfit on the second floor. At street level, Momosan from chef Morimoto focuses on playful izakaya foods (yakitori, gyoza) in a tropical beer garden. Spend the night. Click here for reservations. You have touched down at the birthplace of surfing, flower leis, poke, and the pineapple trend — Hawaii is basically an Instagram dreamscape. When in Honolulu, it's all about surfing, catching some sun, eating shaved ice, and doing it again. 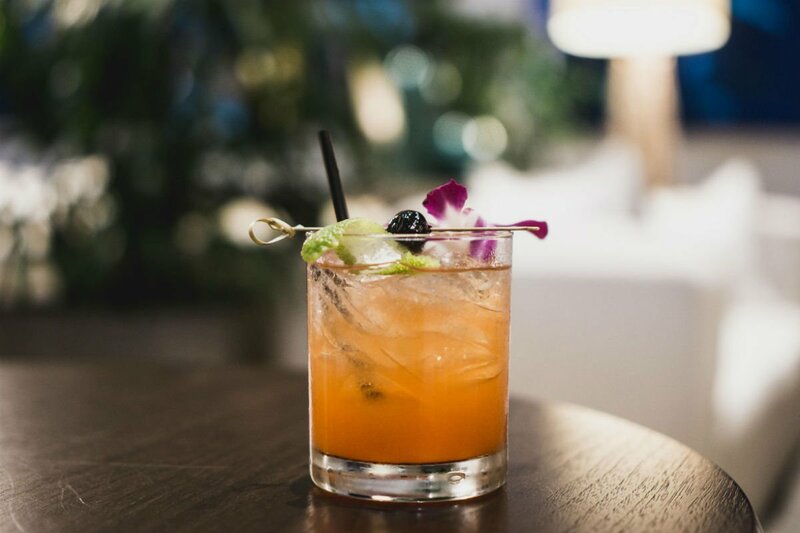 Kaimuki Superette, The Pig & the Lady, MW, Agu Ramen Bistro, and old-school Helena's Hawaiian Food all feature local cuisine and ingredients and should be on your dining list. Get your colorful frozen water from Waiola Store or Island Vintage Shaved Ice. Besides the usual fun-in-the-sun on iconic Waikiki Beach, Oahu has an expansive nature preserve, incredible hiking up Diamond Head, movies on the beach, a huge farmer's market, and tons of waterfalls waiting to be explored.